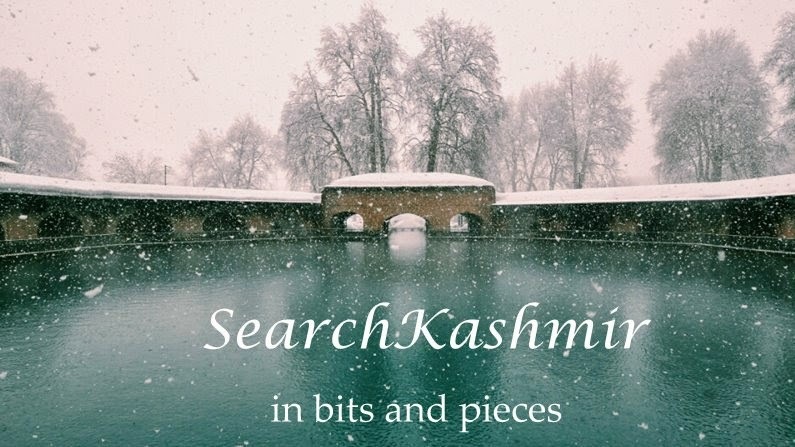 The story goes that Ali Mardan Khan, the Kurdish governor of Kashmir appointed by Shah Jahan, the governor who built Chameshahi Garden, the supposed owner of a philosopher stone got from a dead snake woman, was one night strolling around Shalimar Garden when his eyes suddenly fell on Mahadeo peak and saw something, believed he saw Shiva himself. He went on to write a poem on his experience. No one was to later claim that he must have been smoking or drinking Shiva stuff that night. I find the story interesting not just because of the obvious 'Muslim Man singing Hindu Hosanna' thing but because in this particular story and the poem associated with the story, the whole unique Hindu concept of 'Darshan' and the concept of God having physical attributes is also adopted. 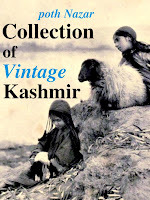 I have read the story and reference to the poem in a lot of 'our great culture' writing on Kashmir. But never was the poem presented in entirety. The usual - someone knows 30% about something, he shares 15%, someone else is happy copying 10%, and in the end you get only 5% but that doesn't matter cause you get a lazy 'our great culture' kick even in that 5% and that's how the matter remains. In my case, OCD causes me all kind of pirablems. I need to know more even if I don't understand it. Even if it is all Persian to me. Ali Mardan Khan died of dysentery on his way to Kashmir in 1657. 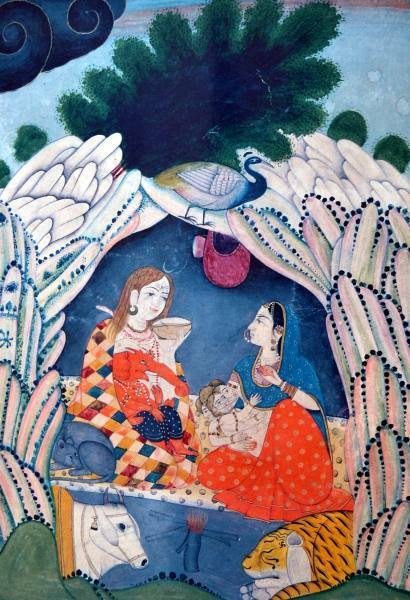 Image: Bharava by Triloke Kaul. Private collection of the painter. Herath and Salaam Mubarak to you too! Where's the picture from? Thanks for your wonderful blog! It is from a painting exhibition at Kala Mandir, Jammu. You can check out more of this art collection here. One thing i know for sure that is some of the best Shiva Bhajans in Kashmiri were sung by Muslim Singers. One of my uncles says that this person underwent a spontaneous "Kundali Jagran" when he has this vision. Also some of the descriptions in couplets remind us of Vishnu instead of shiva. Lord shiva the ashawt basmallah the ultimate and supreme personality of godhead is being realized by all spritual visionnairies. No matter hindu or muslim. All r made by one god. I have seen a few videos of Dr. R.L.Bhat singing this Bajan, which has helped me in actually pronunciating it rightly. The bajan is available on youtube. Thanks for sharing such a beautiful Sakhshatkar. "Namo Narayan" here is used as an exclamation. The description is still of Shiv with lotus conch and moon as headgear. Someone who understands Persian can deduce better but Namo Narayan is not used for Shiva generally! Also one thing I forgot to add is that this is probably mash up of two poems because it seems to lack verses which talk about the main weapon of Shiva - Trishula / Trident ! Jay Bole teri Jay Jay kar. Om Namah Shivaya.